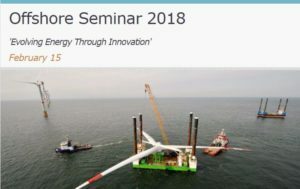 Costa Renewables CEO Ed Wehnes will be speaking at RenewableUK’s Health & Safety event in Birmingham on January 28 on the subject: ‘How a Generative Organisation can Secure a Zero LTI during Project Execution’. It is possible for a high performance organisation to execute a renewable energy project without any injuries as many are still caused by human errors. The efficiency of an organisation’s safety culture is defined by the ability of its management to capture and implement lessons learned and create a work environment where all actors are engaged, able to admit mistakes and are empowered to take adequate decisions, even if this means putting a project on hold. In this interactive session it will be discussed how implementing this Generative Organisation can lead to a committed workforce, no LTI and growing revenues. Click here for more information on the programme or contact us directly if you want more information on the topic or wish to meet up with Ed on that day or the day after!